Hilda Matthews, Chino Hills... 59 yr female MRI: Moderate to severe canal stenosis at L4-5 due to a 2 mm broad-based bulge. Severe canal narrowing at L5-S1 due to a 3 mm broad-based bulge. Mild bilateral neural foraminal narrowing at L4-L5. I want to thank you all for all that you have done for me. When I came to your clinic in May of 2010, I was having severe pain in my lower back and legs for more than a year. I could not sit for more than 15 minutes and going up and down the stairs was almost impossible. The numbness and pain would wake me up throughout the night. I did not want to go to the doctor because, I feared the word "surgery" nor, did I want to continue on the over-the-counter pain pills because of the serious side effects. I started researching my symptoms over the internet (Google) and found out that the pain I was having might be due to my lower spine and sciatic nerve in my legs. Further research for treatment led me to your website. I learned that you had a DRX 9000 Spinal Decompression treatment that could help me without surgery. I was so happy; I called that same day to make an appointment. I arrived at your office to find the most kind and friendly staff. During my initial meeting with you, I felt very comfortable as you explained your treatment with a cordial sense of humor. After reviewing the X-ray and MRI, it was confirmed that spinal decompression could benefit me. Now, after several treatments, I am able to walk, sit, and sleep without constant pain. My life is so much better that I am ready to go back to work with more energy than I have not had for a long time. There is no gift more precious than one's health. Know that I am grateful for your skill, your sensitivity and dedication. Kindness isn't tendered on demand. You gave with concern, not merely out of duty. For this, I will always be grateful and will recommend you to anyone who is experiencing back and leg pain." MRI: L4-L5 central disc bulge 7 mm anterior-posterior x 14 mm superior inferior with left neural foraminal narrowing; disc material may abut transiting left-sided nerve roots and exiting left nerve at this level. "I had terrible stabbing pain in my left leg, particularly in my calf that extended down to my foot. It felt like someone was twisting the point of a knife into my calf. Standing erect exacerbated the pain; thus, I was often walking around hunched forward because if I straightened my back, it hurt too much. I also had difficulty sleeping because of the pain. Although I always considered myself to have a high pain tolerance and I do not like taking medication, I started taking Vicodin to help me get through the day. While it lessened the pain, it made me feel foggy, which I did not like. I tried acupuncture and conventional chiropractic manipulations elsewhere, and had 4 months of 2-3 times weekly physical therapy with no relief from any of the treatments. I also had an epidural corticosteroid injection, which did provide some short-term lessening of the pain, sufficient enough that I stopped taking the pain medication. Then I bent over one day and the pain came back just as bad as it was prior to the injection. Although I still continued to work throughout this, I was miserable and frankly, I was at wits-end because the pain was affecting my work productivity and my personal relationships. I had just obtained two surgical consultations with spine surgeons when I heard about spinal decompression treatment. Although not covered by my insurance plan, I felt I that I had to give it a try because the only other option I had was surgery." "I feel like a new person. The pain is gone completely. I can stand erect and I can sleep at night. The change is so dramatic that it is a bit freaky. It all seems like a bad dream now." "I had excruciating pain in my neck for the last 2 years, which also caused me to have high blood pressure. I searched for treatments in my home country of Bulgaria and could not find anything that could provide relief for more than 3-6 days. My friend in the United States told me about Dr. Brian Prieto and his spinal decompression treatment in America, and suggested I fly over for treatment for my neck condition. I put my business on hold in Bulgaria specifically to receive treatment at Dr. Prieto's office. I've been here for a month and I have responded very well to the treatment on the DRX 9000. The majority of my pain is gone, I feel great and my blood pressure is back to normal. I have to return back to my homeland and I will be coming back soon to resume my treatment. I will recommend this treatment to anyone with serious neck pain like mine, telling them this is a miracle technology." MRI: Marked focal dextroscoliosis in the lumbar spine, centered at L4. Left-sided inferior extrusion of the L1-L2 disc. Mild central spinal stenosis at L3-L4 secondary to disc bulging and facet arthropathy. Left lateral recess stenosis at L4-L5 secondary disc bulging and facet arthropathy. "Since August 2009 I have experienced excruciating pain in my left hip and left front thigh. Sitting positions were almost impossible. I could not sit for more than a few minutes at the time. All my normal activities such as traveling, going to the movies, doing garden work or visiting my friends stopped. I spent most of my time on my yoga mat on the floor. I had an invitation to go to Norway to see my family in February 2010, but could see no possible way of sitting on the plane for 13 hours. Thanks to Dr. Prieto I am back to normal again." MRI: 1-2 mm disc protrusion at C3-4 causing moderate right neural foraminal stenosis. 3-4 mm broad based posterior disc protrusion at C4-5 causing moderate canal stenosis with severe right and moderate left neural foraminal stenosis. 3-4 mm broad based posterior disc protrusion at C5-6 causing mild to moderate canal stenosis with moderate bilateral neural foraminal stenosis. 2-3 mm broad based posterior disc protrusion at C6-7 causing moderate canal stenosis with severe bilateral neural foraminal stenosis. "Over the past few years my neck gradually started hurting me more and more. An x-ray showed general wear and tear in the neck and some arthritis. I was given some prescription anti-inflammatory medications and told to have massage therapy. With minor success I went on with my life. In the spring of this year, the pain was again back to the acute stage. I had to get to the bottom of the problem and fix it. My doctor sent me in for a MRI and the results were not good. He said "basically your neck is a mess". I had bulging discs in the C4 C5 C6 and C7. Three of them were bulging in multiple directions. He offered cortisone shots, but did not feel they would be very successful because of the multiple discs that were injured. Basically he suggested I would most likely have to try and live with it and take it easy until I couldn't stand it any more; then have surgery. During this time a friend of mine in Bakersfield with low back problems had wonderful success with a technique called spinal decompression. I got on the internet and researched the technique and found Dr. Prieto. He reviewed my MRI's and thought the technique would help my situation. He gave my two trial treatments before I had to make up my mind. Those treatments did seem to improve the situation, so I decided to go through the full regimen. Through the process my neck gradually improved. In fact as the treatments progressed I noticed weeks going by where I never even thought about my neck problem. I am soon to be released from all treatment and can go back on an as needed basis. In fact three weeks ago after hurting my neck at the gym (to the point I had to take a pain pill), I dropped in for one treatment and I am back to feeling great. I certainly recommend Dr. Prieto to everyone who is struggling with spinal pain and possibly facing surgery. I would be happy to talk to anyone who is looking in to this to further clarify my own experience." MRI: Lumbar spondylosis resulting in mild spinal stenosis and mild bilateral neural foraminal narrowing at L3-L4 and L4-L5 levels. "My life has been a very active one. However, over the years I have experienced a number of injuries from volleyball, snow-skiing, water-skiing, and three major car accidents. Chiropractic helped me recover after each injury. Last summer, I injured my back and six months of chiropractic treatments did not eliminate the problem. I could not walk without discomfort, could not lift any weight, and pain in my hips and down both legs prevented sleep. At that point, I felt the need to seek a more thorough diagnosis and path of treatment. My husband, a retired football coach, called the trainer at our local college to see who they send their athletes to for such symptoms. Dr. Brian Prieto was recommended, so we made an appointment. He listened to my story and then said he must have more information to make an accurate diagnosis. After an x-ray and MRI, he strongly suggested the DRX 9000 machine to bring healing to my bulging discs. Dr. Prieto and his staff were so professional, so caring, and so helpful. It took a number of treatments before I felt improvement, but then I experienced freedom from pain when in bed and ability to resume normal activities. Several times I seemed to take a step backwards, but then moved well. After completing the series of treatments, I am able to enjoy full workouts at the gym, gardening, and physical activities we enjoy. Retiring at night and sleeping without pain is such a blessing! I highly recommend the treatments and am thankful they were suggested to me. Thank you Dr. Prieto and staff for helping me regain an active and pain-free life!" MRI: 1 cm left paracentral disc extrusion at L5-S1 with displacement of the traversing left S1 nerve root. "The pain I was experiencing was basically the most annoying pain I ever had in my life. On a 10 scale, it was a 9 ½ to 10 at all times. I had sciatica and severe pain in my low back, which ended up being a 10 mm bulged disc. I was losing out on sleep and all mobility to do just about anything. I couldn't sit for any period of time more than 2 to 3 minutes, I couldn't lie down, and I was uncomfortable. I was only getting a couple hours of sleep each night. It killed my whole quality of life in every aspect. I experienced this off and on for about 10 years, but I dramatically injured my back 10 months ago. It got to the point where everyday I had extreme pain. After going to a couple chiropractors and the emergency room twice and all having them give me the run around and not tell me what was going on, I started to do my homework. I found out my 2 options were really expensive surgery or this new technology of non-surgical spinal decompression. After doing my homework, non-surgical spinal decompression sounded like my best choice. My results are dramatic; I am not in pain all day. I know my limits now and I know that there are certain things I shouldn't do and I don't do them. Other than that, my pain is gone. I can sleep, I can sit, I can hold my daughter, and I can lift weights and workout. I am able to move and work. There is nothing that I can't really do anymore." "I was having pain in my lower back. Walking, sitting and sleeping were uncomfortable. Sitting in an upright position never felt comfortable and I would have to lie down, but lying down hurt too. I was missing out on golfing and other activities that my back wouldn't allow me to do. My home life was also affected. I couldn't drive very far. I had been living like this for 5-10 years. I think that having been a truck driver affected my back. I was going to a chiropractor in West Covina, but couldn't get in when I was having a lot of pain. I decided to try somewhere closer and saw Dr. Prieto. He took x-rays which showed that two of my discs were rubbing. We decided to do spinal decompression, which really helped me a lot. Since the treatments, I have had nothing but good results. I walk better, I walk straighter, I sleep better, and I go golfing and have a better golf score. I can go fishing and drive long distances without any pain. I recommend everyone to go through this program with Dr. Prieto. It has impacted my life greatly." MRI: Left paracentral 7 mm disc protrusion with inferior extrusion at L4-5 with mass effect on the dural sac and left lateral recess. "I had a lot of pain in my back, hip and leg and it went down to the foot. I really couldn't do anything. I couldn't do yard work, I couldn't have relations with my wife and I couldn't play golf. I was pretty much a vegetable around the house. I had been having pain for about 2 years. I had some success in the hospital. I had epidural shots and blockers that were successful, but they stopped being successful. Then, I had about 4 months of a lot of pain. I was taking Norco and the Fentanyl patch, but it still wasn't doing much. The pain was there for about 3-4 months. I decided to use the spinal decompression therapy with Dr. Prieto, because it was either that or surgery and I really wasn't looking forward to that not knowing what the results might be. I went online and I looked up Dr. Prieto. I thought he had a good website and good information and felt it was a good place to try. After a few weeks of treatment, I went off my pain medication, which was a big step, because I was a little afraid of doing that. Low and behold, I felt good. A couple more weeks after that, I tried swinging a golf club around the house and getting my body back in shape. Now I'm playing golf two times a week, enjoying life and doing yard work. I've pretty much got my life back, which is really great." MRI: Degenerative disc disease resulting in spinal stenosis at L3-4, L4-5 and L5-S1. "About 30 years ago I first injured my back in an accident at work. Since that time it got progressively worse in the low back. I had more stiffness than a sharp shooting pain, although at times it would cause me to catch my breath as though I suddenly couldn't move and couldn't breathe. The worse thing about it is how it affected my day to day activities. It got so bad over the years that even just standing up out of a chair became extremely difficult and it would take a couple minutes to stand up and straighten up, which is no way to live your life. It got to the point that I couldn't do a lot of the things that I like to do in my life. I am normally a very active person; I enjoy horseback riding, walking and hiking. I also like to travel quite a bit, but sitting in an airplane seat for hours was excruciating and carrying suitcases through an airport was awful. My life became very constricted. Finally I became desperate earlier this year. I had received a diagnosis of degenerative disc disease in the low back and thought that there has got to be something that can make this better. I went to physical therapy for a few months and while that made it feel better, it wasn't restoring my range of motion and my ability to do things. I called Dr. Prieto to see if there was something he could do. I didn't know anything about spinal decompression until he explained it to me. I did the spinal decompression program with Dr. Prieto and my life now is completely different. I can move freely, I can get up out of a chair, I can jump right up and run out the door and do things I haven't been able to do in years. I joined a gym, I can go workout now. The biggest difference is not just physical, but it's in the way I see my life. It's a whole new way of living. My self confidence has been restored. I believe in my own ability to do things, more than I did before. Even to the point that I am starting a new business. This is a whole new life. I cannot begin to tell you what a difference this has made." MRI: L5-S1 4-5mm left paracentral disc protrusion with impression on S1 nerve root. "Pain in the sciatic nerve, had two injections of cortisone and still had pain and not treating the problem. I would be caught in the bent over position and couldn't stand or walk even short distances. I had a huge amount of pain in my back and legs. I stopped taking the dog on long walks. I had pain on airplane rides and long car rides with numbness and tingling in my legs. I stopped doing yard work." "I feel great, I made it to my 50th High School Reunion without pain. I felt better than most of my classmates. I was able to make it to my grandchildren's parades and tennis matches. I am starting back on my exercise classes, walks and yard work. I am able to drive without having pain." MRI: L5-S1 disc level, there is a large left posterior disc herniation. The herniated disc measures 11 x 16 mm. The large extruded disc fragment obliterates the left intervertebral foramen and the subarticular left lateral recess. Marked encroachment on the left S1 nerve root is noted. Before DRX 9000 Spinal Decompression treatment: "I couldn't walk more than a few blocks. I couldn't bend over to pick up my son. I was unable to sleep for long periods of time without pain. I was unable to bend over to tie my shoes. My quality of life just wasn't there. I had problems when sitting for long periods of time. I had constant pain in my buttocks and down the back of my thigh." ="I am able to walk long distances with little to no pain. Most importantly to me, I am able to bend over and pick up my son. I am able to sleep comfortably through the night. I can tie my shoes and bend over. My quality of life has returned. I can sit at a desk or on a sofa with slight to no pain. The pain in my buttocks and down my leg is not as often. I had great results with the DRX 9000 spinal decompression machine and I truly can and will recommend it." MRI: Degenerative changes over the lumbar spine most prominent at L4-5 level with a 5mm central herniated disc with mass effect upon the thecal sac. "I am amazed at the results so far. I am now able to stand or sit for long periods of time with very slight or no discomfort what so ever. I can also change positions during my sleep without waking up due to the discomfort. I am so elated that Dr. Prieto researched and brought the DRX 9000 into his office. I have confidence that I will be able to live a much fuller life once again. Thank you Dr. Prieto"
MRI: L4-5 shows desiccation, loss of stature and right paracentral disc protrusion by 8mm causing right ventral narrowing of the thecal sac and significant spinal stenosis at this segment and significant narrowing of the lateral recesses bilaterally. 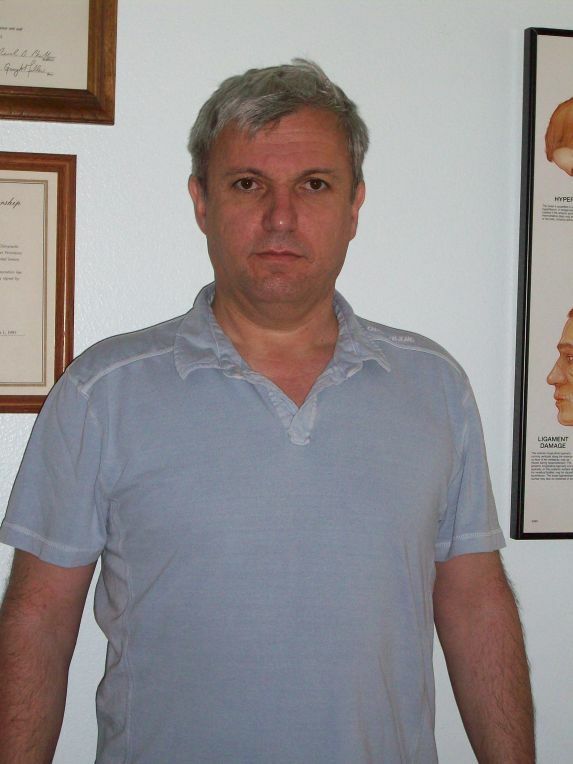 "I am a 37 year old male who has a herniated disc in my lower back. The pain was so bad that it was difficult for me to get out of bed in the morning. I tried everything from medication to physical therapy. Those methods only offered short-term solutions. The only other solution seemed to be surgery, which I was deathly afraid of. Then I saw an ad in the newspaper about spinal decompression, I made an appointment with Prieto Chiropractic and began treatment on the DRX 9000. This non-surgical approach is easy, pain free and only takes about 30 minutes a few times a week. Thanks to Prieto Chiropractic, my back feels 100% better." MRI: Degenerative changes most prominently at L4-5 with mild to moderate spinal stenosis and broad based protrusion extending into the right foraman without significant neural impingement. There is bilateral facet arthritis. "Before I came to Dr. Prieto I was in a lot of pain. It was difficult to walk or do my job. I knew that if I did a lot of lifting or any housework or any activity that I would be in a lot of pain and be down for at least two days. The pain would sometimes almost knock me off my feet. I did have an appointment with my back surgeon. "I now can walk and do any activity I choose. I am amazed how much I am able to do. I did cancel my appointment with my back surgeon. I am still very careful, but the pain has greatly diminished." MRI: L3-4, a prominent 4-5 mm central disc extrusion with 1 cm inferior migration, impinging on right L4 nerve root. L5-S1, a 3-4 mm central disc protrusion with bilateral neural foraminal narrowing. L4-5, 2-3 mm right paracentral disc protrusion abutting the right L5 nerve root. L1-2, 2-3 mm posterior disc bulge. "My lower back was injured due to years of intense physical activities and manual labor. I was prescribed muscle relaxants, anti-inflammatory, and cortisone shots after visiting various doctors' offices. A sports injury forced me to visit a hospital emergency room, an MRI revealed that I had ruptured and herniated several of my lumbar discs which was causing this continued pain. I was told by doctors to continue taking the medication, get plenty of rest, all the while enduring excruciating pain. There was nothing else they could do other than recommend back surgery. I tried other forms of rehabilitation like physical therapy (e.g., yoga, strength training, hot/cold packs, ect.) standard chiropractic care (e.g., joint manipulation, muscle stimulation, ultrasound, ect.) and other various methods (e.g., deep tissue massage, acupuncture, and active release techniques). Those methods worked to alleviate the pain for short periods of time. Still, on occasions my back would "lock up", all the while experiencing stiffness, but tolerable pain. I was living with daily fear that at any time my back could give out. I realized that I had gotten to the root of the cause of my lower back condition. I began to consider a new medical back surgery called microdisectomy. A procedure that would require a surgeon to cut off the portion of protruding disc that was putting pressure and irritating the spinal nerves in the area. I contacted local surgeons and did extensive research to find out if I would be a good candidate for this type of surgery based upon my history of back pain. Prior to scheduling the surgery, I saw an advertisement about non-surgical spinal decompression. The concept and process of relieving pressure by decompression of the lumbar discs made common sense. I was skeptical about the cost and apprehensive about the time commitment required, but decided to give it a try as a last option to invasive back surgery. As usual I was expecting immediate results and was disappointed after 2 weeks of the decompression process (8 visits), because the pain and stiffness still existed. However, by the end of the third week I began to feel a lot less pressure in my lower back and began to regain additional movement and flexibility. By the end of the 5th week (18 sessions), I had absolutely no pain or lower back stiffness with total flexibility and movement. After 24 visits utilizing the DRX 9000 system, I am happy and ecstatic to say that I AM TOTALLY PAIN FREE AND CONTINUE TO HAVE FULL RANGE OF MOBILITY THAT I HAVE NOT EXPERIENCED IN OVER 25 YEARS. I now have confidence that my back will sustain my rigorous lifestyle. I am now looking forward to resuming all the physical activities that I had reduced considerably (e.g., skiing, golfing, weight lifting, running) or given up on (e.g., sky diving, karate, baseball, motorcycle racing) completely. I would strongly recommend and encourage anyone who experiences continual nagging lower back pain to give it a try before considering invasive back surgery. The only advice is if you start this process you must give it a fair chance by continuing the process for at least 24 sessions." MRI: L4-L5 5 mm left paracentral disc extrusion with impingement on the left L5 nerve and on the right L4 nerve resulting in bilateral neural foraminal narrowing. "Many years working as a Circulating Nurse in the operating room lifting and positioning sleeping patients, made day to day tasks difficult. I had pain in my lower back radiating down my left leg and my left foot was numb. Walking and exercising were painful. Physical therapy and periodic steroid injections helped, but I needed something long term and I did not want surgery." "So far the treatment has been successful. I no longer have numbness or tingling in my left foot. My range of motion has improved significantly. I highly recommend the DRX 9000"
MRI: L5-S1 mm left parasagittal disc protrusion compressing the left S1 nerve root. Moderate degenerative disc disease at L4-L5 producing mild bilateral neural foraminal narrowing. "I would like to take this opportunity to thank you for the excellent work you have done in relieving the pain I was experiencing in my lower back and legs. When I was diagnosed with a compressed disk in my lower back I was seriously considering back surgery. Fortunately, I learned of the spinal decompression program that you offer as part of your chiropractic practice. Prior to entering the program my activities were severely restricted. I was only able to walk at a slow pace and my back would be extremely stiff and painful when I got out of bed in the morning. After several sessions the pain was noticeably reduced and I was able to resume most of my normal activities. Now that I am about to complete the program I feel well enough to resume jogging. I will definitely recommend to anyone that is experiencing back problems to undergo spinal decompression to relive their pain." MRI: Fairly high-grade stenosis from a bulge of the L4-5 disk and arthritic facet joints. "After two epidurals and 12 weeks of therapy, it was recommended I have another epidural and 6 more weeks of therapy. After treatment on the DRX 9000 I began to have significant improvement and have returned to all my normal activities including golf." MRI: Multi-level degenerative abnormalities, L3-4 with lateral disc protrusion on right, resulting in moderately severe foraminal stenosis. "When I came to see Dr. Prieto I had been to two other chiropractors and a medical doctor and had a MRI. The medical doctor wanted to schedule me for surgery immediately. At this point I was unable to walk; I had intense pain down my right leg. I was using a wheel chair and a walker. My daughter saw an advertisement for a chiropractor using a new type of machine called the DRX 9000. I went on Dr. Prieto's website and I was impressed and intrigued to learn more about this new machine. I started therapy and now I do not have the intense pain down my right leg and I can walk again." MRI: Large central and right-paracentral protruded disc measuring 8 mm, causing mild central canal stenosis. I had trouble lying on my back. Dr Prieto worked with me. Once on the DRX 9000, 4 sessions in week 1 and 4 sessions in week 2, something almost magical happened: The pain was reduced to the point where I could walk and not use the wheelchair. I'm now up to session 23: no pain. I'm almost back to where I was before reaching for that piece of paper. Time line: I fooled around 6 weeks before contacting Dr. Prieto. I was in a wheelchair 8 total weeks. I am now out of the wheelchair 6 weeks with no pain. The Doctor asked me not to lift and be careful, but other than that, the DRX 9000 has cured all back pain." "I have been having lower back pain for the last 16 years. I am now 29. Over these years the pain and symptoms have gotten progressively worse. I had sharp shooting pain down my left leg almost daily. Whenever I would lie down, my leg would go numb to my knee. There was general pain, stiffness, and soreness almost constantly. I said, "my back hurts" so much that my husband started ignoring it. By the time I came to see Dr. Prieto, I was throwing my back out about once a month. When this happened, I could not walk or function without severe pain, and my left hips would become crooked. Before starting on the machine, I had seen several doctors and have had many MRIs. The MRIs showed a 4mm disc bulge at the L4-5 level. That disc is also degenerative and has a tear. I have seen at least a dozen doctors, physical therapist, chiropractors, and acupuncturists. I have been injected with enzymes from a papaya, had epidural injections, received traction, and gone through years of physical therapy. Most of the doctors said that without surgery, it would not be a good idea to have children. With the way my back felt, I couldn't imagine carrying a child for 9 months or even holding it after it was born. Once I started my treatments with Dr. Prieto, I have not thrown my back out at all. I have even had many days with no symptoms at all. I am still improving, and my husband and I are now talking about having children in the very near future." "After reading an article about Dr. Prieto and the DRX 9000 Spinal Decompression machine, I figured I had nothing to lose by looking into it. I have been in some level of lower back pain for the past 20 years, most of the time bearable. This time however, I had been in extreme pain for over 2 weeks straight. Medication, rest, ect., was not helping. I was unable to sit for even a few minutes without pain shooting through my legs. My work was being affected as it was very difficult, sometimes impossible to concentrate. Physical activities came to a screeching halt. That's when I scheduled up my first appointment. Within 6 visits, I was able to start performing everyday functions. Now, after completing the program, I am back in the gym, jogging and most importantly, surfing with my boys! I highly recommend that anyone who is experiencing lower back pain seriously consider the DRX 9000." "I have had chronic back pain, resulting from 20 years of cabinetmaking along with several car accidents, for as long as I can remember. Most recently it escalated to a 6mm bulging disc at my L5-S1 with extreme pain shooting down my legs. For approximately 8 months I lived with excruciating pain to the point where I couldn't function on a daily basis. Everything came down to the back and the pain I was experiencing and nothing else mattered. It affected my mood, my attitude, my relationships at home and work, and not for the better. I needed help. I consulted with several other chiropractors and medical doctors and no one seemed to be able to help, until Dr. Prieto and his amazing machine. Before meeting with Dr. Prieto and discussing the benefits and positive results this alternative treatment process had to offer, I was convinced the only real solution was surgery. And with all the research I have done over the years, surgery wasn't something I was terribly interested in for many reasons. Dr. Prieto has given my back my life, my positive attitude and outlook, my old self before all my back problems. I'm pain free and I feel great, in fact, I feel better than ever. I'm forty this year and I feel like a kid again. Better yet, I can play with my kids again. Thank you Dr. Prieto for everything. Keep up the good work." 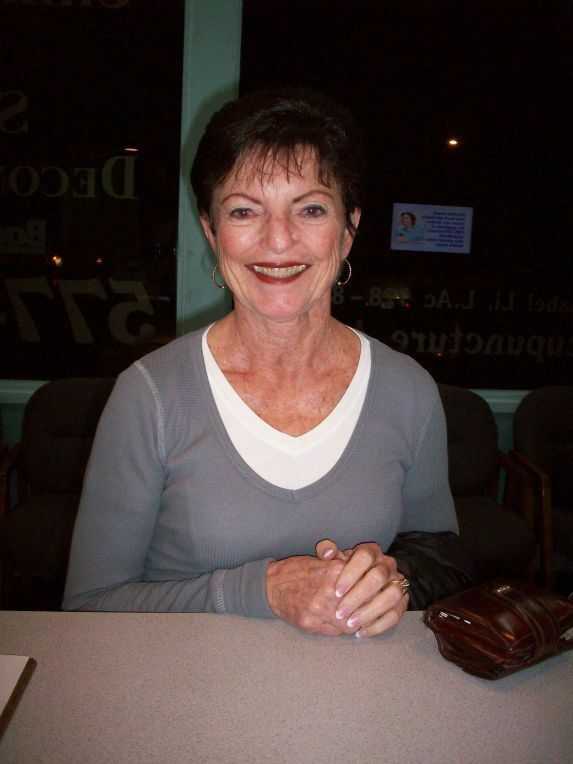 "Thanks to Dr. Prieto and his innovative back treatment, I'm able to function normally again! With two herniated discs it was difficult to sit or stand for very long. Even steroid shots did not offer a lot of relief. My progress with Dr. Prieto started slow, perhaps because I'm 56, but with patience and regular treatments my "pain free" time finally arrived. I especially appreciate Dr. Prieto's instruction on stretching and strengthening exercises to maintain my new freedom from pain." Thank you again Dr. Prieto!" MRI: 3 mm disc bulge at L3-4 and a 2 mm bulge at L4-5, mild facet arthropathy and mild bilateral foraminal stenosis. "Before the decompression treatment I was not able to play golf more than two days in a row. I always had to take an anti-inflammatory before playing, and put ice on my lower back after each round. After treatment, my husband and I took a nine day trip. I was able to play golf seven of the nine days without pain! I can sleep better and feel much better over all. I highly recommend the DRX 9000 Spinal Decompression treatment." "About three years ago, I injured my lower back while moving a potted palm tree. As soon as I picked up the pot, I turned to my left and my back gave out. I immediately fell to my hands and knees and literally had to crawl into the house. As the years went by, my lower back was never the same and I would re injure myself from time to time. I was too stubborn to seek outside help because I have friends that have similar injuries and even surgery did not help them. I just figured that I would deal with it. Earlier this year I found out about Spinal Decompression and made an appointment with Dr. Prieto to discuss my daily discomfort. I was to the point where I couldn't even bend over to tie my shoes or walk our dogs without feeling that my back was going to fail me again. My wife would have to help me lift anything heavier than a case of bottled water. I have heard horror stories about surgery and other chiropractors that have resulted in failed attempts to fix lower back problems. What impressed me the most about Dr. Prieto is that he immediately wanted to x-ray my lower back and get an MRI before he could even recommend any possible solutions to help my situation. After the MRI results came back, Dr. Prieto knew that I was a good candidate for Spinal Decompression, due to the 86% success rate vs. less than 20% success associated with surgery. After my first week of decompression therapy, I was able to tie my shoes again! After the 2nd week, we knew that I had a good chance of recovery from my daily pain and I am now past my 2nd month and feel great. I am playing golf again and don't have to take any inflammatory medication to get my through 18 holes. My wife and I recently went on a camping vacation, were very active, and forgot that I even had a recent back problem. Thank-you Dr. Prieto for giving me my "back" back." MRI: 4 mm posterior protrusion at L4-5, 2 mm posterior protrusions at L2-3, L3-4, L5-S1 with degeneration and stenosis. "This is just a note to thank you and your staff for the very professional service rendered to me during the 'back de-compression therapy' I received. As you know I have been a long sufferer with back problems. I will state without hesitation this procedure has greatly helped me and I appreciate everything you have done for me." "I could not do my job, maintenance mechanic, with the pain I was in. No longer was I able to play with my kids, coach basketball, and enjoy the life I have been given. The pain started in my lower back and shot down my legs. I could not walk, sit, or lay down. I was miserable. Medical doctors misdiagnosed my condition repeatedly. I had multiple injections and physical therapy. I spent thousands of dollars on medical doctors a, new bed, a MRI and prescriptions. I was not able to work for over 9 months. After a few adjustments by a local chiropractor, I was able to return to work, but only for 3 months. The symptoms returned, worse, and I was not able to work again. Thank God for Dr. Prieto, and the DRX 9000. After three treatments, I noticed a big difference. My wife noticed an even bigger difference. I was able to have a conversation. I had not realized that due to the previous pain, I was not able to participate as a normal human in a conversation. The pain had been so intense, that was all I thought about. Now, months later, my life is back! I am coaching basketball again, camping, playing with my kids and I am happy again. I have joy again. Pain is a thing from the past." MRI: 2-3 mm protruded disc at L3-4, 6 mm right-paracentral protruded disc at L4-5 and severe degenerative disc disease and narrowing at L5-S1. "This is a thank-you to you and your staff for overriding your initial reservations and allowing me to partake in the DRX 9000 treatment program. This program (without chemical help) has changed my life for the best. Gone are the inabilities to do everyday functions. I can climb stairs  pick up my grand-daughter- walk to the store- drive a car - ride for long periods- all without pain. As you know, I had the same problem 20+ years ago and was told only back surgery would alleviate the problem. I worked thru that and spent the intervening years with accommodating the pain. When a new flare-up occurred I sought alternatives to surgery and found you. After going thru your 7 week program I am virtually pain free (but it only took 2 plus weeks for the pain to be almost non-existent)." MRI: 3-4 mm disc bulges throughout the lumbar spine, grade I-II degenerative anterolisthesis, severe central canal stenosis. "I'm a hairdresser standing for 45 years. I love what I do and I was finding it harder and harder to do a day's work without a lot of back pain. I was living on the maximum strength Tylenol you can take in a day. I went to my medical doctor, who sent me to have a MRI. The findings were that every disc was bulging and I had disc space narrowing throughout the lumbar spine. There was also severe facet degeneration in the lower lumbar spine. I was told that if I didn't do something about it, the narrowing would some day get so tight that my spinal cord could get severed. I have talked to many people and I was told once you have back surgery you are never the same and then you need another and another. This was not for me and I also knew that it was going to be the end of my working days. I started to research on the internet (I might say the best source to find information) and I found an article, 'Surgery versus DRX 9000 Spinal Decompression'. I found out about Dr. Prieto having this machine and the rest is history. I went for all of my 24 treatments, and I was able to work all the time while having the treatments. I'm pain free thanks to the DRX 9000 machine and Dr. Prieto. If you are a candidate and have back problems, I would highly recommend it." "During four years of living with a torn disc, I was not able to go for walks, practice Yoga as regularly as I used to and physical activity became strenuous, causing me total discomfort in my body. I experienced lower back pain with inflammation and swelling with a very sharp pain in my right hip. After the first week of Spinal Decompression, the pressure around the lower part of my body went away and I felt lighter, painless and was walking with a straight back! With subsequent decompressions, massages and icings in my lower back, I am painless, have more energy and resistance in engaging in physical activities, sleeping pleasantly without medication and have become a happier person! I am able to go for walks for 15-30 minutes, can sleep overnight laying flat, enjoy gardening and am able to go shopping and sit at the movies. Most importantly, I have achieved my goal of feeling good with energy and without pain just in time to attend and enjoy my younger son's graduation from the university. Thank you Dr. Prieto, I couldn't have done it without you!!! The healing power is in your hands, God Bless you!!!" MRI: Severe spinal canal stenosis at L4-5 due to focal 8mm disc extrusion and moderate spinal canal stenosis at L3-4 due to focal 5mm central disc protrusion. I just wrote to say thank you for the DRX9000. Not too long ago I was walking with a limp and constant pain in my lower back, but today I am walking without limping, and no pain thanks to the DRX9000. As far as I am concerned, the inventor of the DRX9000 should be nominated for sainthood; here I am walking around, miraculously, like a brand new me; once again THANK YOU DRX9000." MRI: Mild disc bulge at L3-4 with mild to moderate central stenosis. Mild to moderate disc bulge at L4-5 with moderate central stenosis. Minimal disc bulge at L5-S1. "I went through extensive consultations and laboratory work to find that I had degeneration and bulging discs. I got to the point that my pain was so severe, I could not sit down for more than 3 or 4 minutes. I had to retire from work, because of the pain. My retired life consisted of continual numbness and pain for 3 months. I was on medication and had epidural shots. As a last resort, I started Spinal Decompression treatment with Dr. Prieto in February. By June I significantly improved and returned back to work. I am now able to work and function; doing things that caused me too much pain before. What a turning point!" MRI: Severe degenerative disc disease at L3-4 with a small central disc bulge. Severe degenerative disc disease at L4-5 with a 3 mm central protruded disc. 5 mm central protruded disc at L5-S1. I would like to thank you for taking me on as your patient. After suffering through years of back, neck, and sciatica pain, I have regained much movement and am now pain free. I had endured two surgeries, months of being flat on my back, months in a wheel chair, and months on crutches. The spinal decompression therapy I received at your office has been more healing than any other treatment. The constant pain I was in, kept me from sleeping at night. The severe discomfort kept me from concentrating on work, the computer, television, or being among friends and family. My active lifestyle dwindled to an inactive lifestyle after the back pain and accompanying sleep deprivation stole my personality. I couldn't provide for my family in the ways I previously had. Going out of my home to do errands took great effort. The time you spent explaining the spinal decompression treatment and why I was a good candidate reassured me that you understood my needs. When I came for my first treatment and got "hooked up" I was feeling skeptical, but after the stretching, tingling, and icing I stood up and could not believe how I was feeling  pain free! I walked out of the office in shock; I could immediately stand up taller, move better, and I felt like a new person. As treatments continued, I became accustomed to this new sensation, walking taller and sleeping better. This was a far cry from my previous plight. My friends visited with me in June and they were surprised how I was to move and keep up with them. I am very thankful to get my life back. I'm able to go back to classes, and resume my research in genealogy, participate in family activities and feel like a "normal" human being again." MRI 10 mm extruded disc at L3-4 with right-sided central spinal stenosis. 3 mm protruded disc at L4-5. 4 mm degenerative anterolisthesis at L5-S1. "For nearly 20 years I have dealt with lower back pain which typically includes stiffness and misalignment in my hips. In the past I was able to see a Chiropractor and within a few weeks everything was back to normal. I am an avid golfer who enjoyed playing in tournaments and I was able to hit over 100 balls during practice and I would practice two to three times per week. In 2006, my work required I travel heavily for a period of 6 months. During one of my trips I had back pain unlike anything I had experience before. While on the trip it took me nearly 90 minutes to get ready. Any motion or position, especially sitting, was excruciating. I had severe stabbing pain in my right gluteus as well as pain shooting down my right leg. I had numbness in my lower right shin and my right foot was flopping when I tried to walk. I was not able to find any relief from the pain for it was constant 24 hours a day in every position. I spoke to a colleague of mine from work who had been suffering from severe back problems for nearly 25 years. He tried everything he could imagine. Finally he came across a doctor who had the DRX 9000 machine and he told me that his back pain was gone after 5 treatments. My colleague urged me to find a doctor who used the DRX 9000 in their practice. I went to see Dr. Prieto and upon reviewing my MRI he discovered that I had a 10mm disc extrusion in my lower back. The extrusion was severely pressing against the nerve causing all my symptoms. I started my treatment on the DRX 9000 and after a few weeks the intensity of the pain and symptoms were reduced considerably. I was able to return to work and gradually I was able to resume some of my activities. As I continued my treatments, Dr. Prieto had me begin strengthening exercises. Once I had developed enough endurance, I began working on my golf game again. The effort took some time, but I am pleased to say that I am playing golf again with no pain! Avoiding surgery was a must for me because of the reports I've learned about the long-term side-effects. The DRX 9000 has helped me to not only avoid surgery, but I'm relieved by knowing I won't have to deal with those surgical side-effects. I can't thank Dr. Prieto enough for helping me to overcome a terrifying problem and get my life back to normal." "Awhile back I began suffering from extreme pain and numbness radiating down my right leg and into my foot. I could barely walk, and even simple things like sitting in a chair, driving, taking a shower and getting dressed were difficult. And I was lucky if I could get even an hour or two of sleep at night. I went to see a local sports medicine M.D., and after about two weeks of anti-inflammatory shots, oral steroids, pain medication and muscle relaxers, I wasn't getting better. So I had an MRI which revealed a large (10-15mm) herniation of my L5-S1 disc. I was told I had two options: either try a series of epidural injections or surgery. Since neither was very appealing, I went to see a local chiropractor that was offering spinal decompression therapy on a machine called the SpineMed. I started on the program, and after about 8 treatments the pain had decreased enough that I was able to discontinue all the medication I was taking. After about 15 treatments, the numbness in my right leg and foot was gone. I continued to get progressively better with each treatment and finished the program after 30 treatments. I was pain free, and the follow up MRI revealed my herniated disc had been reduced to 6-7mm. I continued to be pain free for several months, but then I began experiencing muscle spasms in my right calf whenever I would sit down (and the spasms would continue even after I got up). I had some additional treatments on the SpineMed, but one thing I was really getting tired of was the fact that the machine is somewhat painful. It has metal plates that tightly grip your hips on each side to keep your body from slipping during the treatment process, and although the plates are padded, you still feel the metal underneath pressing on your hips. After 20 minutes or so on the machine, my hips were always sore when the treatment was finished. I had seen newspaper ads for the DRX 9000 machine, so I decided to give Dr. Prieto a call. During my consultation, he mentioned that one of the attributes of the DRX 9000 is that it's painless. That sounded good, so I decided to try a series of treatments on the DRX instead of the SpineMed. I immediately found myself wishing I had started on the DRX 9000 in the beginning, because Dr. Prieto was right, the machine was 100% painless. I believe it decompresses the spine similarly to the way the SpineMed machine does, but the machine itself works differently and is a lot more comfortable. I completed the treatments and have now moved to an exercise / strengthening program. My last MRI indicated that my herniation was now about 4mm, and that's a significant improvement over what it was in the beginning. My goal with spinal decompression was to recover from this injury without having to have back surgery. Remembering how much pain I was in at the onset, and how bleak my prospects looked, my impression is that this therapy is the real deal. For anyone suffering from a damaged disc in their back, especially if they're considering surgery, I highly recommend giving this a try first." MRI: Degenerative changes of the lumbar spine with multiple stenosis with a grade I-II spondylolisthesis L3-L4, including Anterior and posterior fusion at L4-L5 from surgery. "The sciatic pain in my hip and leg was so severe due to protruding discs and stenosis of the spine, I could hardly get around. I had already had back surgery and I did not want to do that again if I could avoid it. I could barley bend down to put on my shoes and socks, how humiliating! I was taking pain pills daily. Then I saw an ad for Dr. Prieto and a new treatment for back pain called DRX 9000 Spinal Decompression. Since having treatments, my pain level has been reduced to the point that I am pretty much back to my old (73 years young) self. I have found the time spent on the DRX machine to be so worth the while and I am totally off pain pills at last. Friends say I have the spring back in my step. Hooray! Many thanks to Dr. Prieto and his wonderful staff for the friendliness and yet profession service they have extended to me. And, last but not least, I am very grateful for the DRX machine that has given me so much relief." MRI: 3 mm protruded disc at L4-L5 with neuroforaminal narrowing causing effacement of the L-5 exiting nerve roots. Thanks to you and your staff for the outstanding care you are providing me! You have gone above and beyond in your efforts to treat me and I appreciate all that you have done to help me! Prior to seeing you, I suffered 5+ years of gradually increasing pain in my back, legs and feet. After seeing several specialists, my condition was diagnosed as "chronic idiopathic neuropathy". An MRI showed nerve impingement in the L3/L4 and L4/L5 discs. The pain in my legs increased to the point where I was in chronic pain  24 hours a day. I had difficulty walking, sitting and standing for more than 15 minutes and eventually, I had to use a cane to walk, even for short distances. In my efforts to treat the pain, I tried physical therapy, acupuncture, nerve blocs, hypnosis, etc. Gradually, my pain medications increased to the point where I was taking neurontin, lyrica, percocet, oxycodone, and the fentanyl patch. I also had to take sleeping pills to help me sleep, due to my constant pain. Thankfully, I was able to begin treatment using the DRX-9000 spinal decompression machine. After treatment, I am happy to report that I have made significant progress! Through-out my treatment, I was able to gradually reduce my pain medications and discontinue the neurontin, oxycodone, fentanyl patch, and sleeping pills. My once chronic pain is no longer something I have to deal with, and I only have to use pain meds on a limited basis. Today, I am able to resume most of my day-to-day activities and every day, I seem to be able to do a little more than the day before! I am able to walk over 1½ hours and sit for several hours without experiencing any significant pain! Every day, my endurance and strength continue to increase, while my pain decreases. This has been a life changing treatment for me! To be able to go from chronic pain and increasing pain medications, to being able to function and enjoy most activities is just amazing! I have gone from being hopeless, to being hopeful! Thank you for your commitment to treating me and helping me achieve these results! It really has been a life saver for me and my family and I can't thank you enough for all that you do!" MRI: 5 mm right lateral disc protrusion C5-6 resulting in moderate right neural foraminal narrowing. A 2 mm right lateral disc protrusion resulting in right neural foraminal narrowing. even folding laundry or reading a book resulted in severe neck pain and headaches. As the mother of two children it was very difficult to focus on my children's needs when they returned home from school. I found it hard to accept that this chronic pain was interfering with my family life and my time with my children. In addition, I didn't know if I'd ever be able to go back to work as an accountant since I experienced such pain while working on the computer. Prior to seeing Dr. Prieto I had visited numerous doctors and specialists, and undergone endless treatments including physical therapy and traditional chiropractic care. These treatments provided either temporary relief or no relief at all. Subsequently I was referred to a neurosurgeon who recommended surgery on my cervical spine. After careful consideration and research I decided that surgery was very risky, not always successful and often additional surgery is required years later. Finally, I found out about Spinal Decompression and made an appointment with Dr. Prieto to learn more about this treatment. Thanks to Dr. Prieto and the DRX 9000C I can now perform all those everyday activities pain free and feel great at the end of the day! I am working as a part-time accountant now and I am able to spend more quality time with my family. I am grateful to be free of chronic pain and have my life back once again! I would recommend Dr. Prieto and the DRX 9000C to anyone experiencing severe neck pain." MRI: 5-6 mm protrusion at C5-6 encroaching into right lateral recess canal; 2-3 mm protrusion at C4-5; 2 mm bulge at C3-4; 2 mm protrusion at C6-7. "After injuring my neck in an automobile accident in 2006 and then further aggravating it when stepping off a tall curb in early 2008, I met with two orthopedists who told me that I was a perfect candidate for a disc fusion operation. I was reluctant but in so much pain, I seriously considered the surgery. After having tried physical therapy and pain meds with no relief, I heard about spinal decompression and decided to explore it as a last resort. I was skeptical initially, but quickly became a believer in this therapy. I'm happy to report that after only a few treatments from Dr. Prieto's DRX 9000, my pain began to subside. Now, less than 6 months later, I am virtually pain free. Dr. Prieto and his staff were very professional and friendly. Without reservation, I recommend them to you." MRI: 3 mm left posterolateral disc protrusion at C4-C5 resulting in moderately severe left neural foraminal stenosis. It abuts and slightly displaces the left lateral aspect of the spinal cord. 2-3mm concentric posterior disc bulging at C5-C6. Combined degenerative disc and facet changes result in moderately severe left neural foraminal stenosis and mild central canal stenosis. I have suffered over the past 5 years of neck and shoulder pain. My last MRI showed a lot of degenerative bone loss due to my age, but also a few herniated discs that had me living in pain daily as well as tingling, numbness, even muscle loss in my left arm. Some days I even had problems grasping objects and coordination with my fingers on my left hand. After many doctors, chiropractors, physical therapy, cervical injections, and drugs, I was told my last choice was surgery in order to prevent any nerve damage. When I heard about Dr. Prieto and the DRX 9000 Spinal Decompression treatment, I was skeptical and hopeful, but also even more afraid of having surgery. Dr. Prieto and his entire staff is the best thing that has ever happened to me. Each patient is treated on a one on one personalized program to make you have such a bond and understanding of your treatment. I did feel immediate results, but starting the program is a commitment that you need to follow through in order to get long lasting and continued results. I started feeling so good couldn't wait for my appointments and my family and friends are amazed at what a different person I've become, or should I say my old self again. I would highly recommend to anyone that is living in unnecessary pain to try the DRX 9000 Spinal Decompression treatment, it worked for me." MRI: A large central disc protrusion measuring 4mm at C4-5. A 2 mm disc bulge at C5-6. Right paracentral/intraforaminal osteophytic ridge at C3-4. "I have three ruptured cervical discs. Over-the-counter and prescription anti-inflammatories, physical therapy and spinal epidurals provided no relief to the debilitating pain. Surgery was the last option. I wanted to avoid fusion of four vertebrae in my neck at all costs. I was told about spinal decompression therapy from a colleague. I consulted with Dr. Prieto and read the literature. The theory made sense. What did I have to lose. I have been treated since May 2008 and am now on a maintenance program. I have had no recurrence of pain and have actually had improvement in the numbness and tingling in my left hand that I have experienced for over fifteen years." MRI: Mild anterior osteophyte formation at L5-S1. 4 mm posterior annular bulge flattening the thecal sac resulting in lateral recess stenosis and contacting both exiting L5 nerve roots. 3-5 mm circumferential disc bulges at L2-3, L3-4, L4-5 levels flattening the thecal sacs and results in mild bilateral foraminal narrowing at L4-5 level. "By the time I was recommended to Dr. Prieto by my regular Chiropractor (whom I haven't been back to since), I was in severe pain, unable to stand for more than 15 seconds and couldn't walk more then a few feet before collapsing in pain. I had to use a wheelchair to go anywhere and I was having bouts with anxiety and depression. My biggest fear was that I would have to go under the knife. Dr. Prieto started the spinal decompression treatments on me and after several treatments I wasn't feeling much better, but Dr Prieto easily convinced me that I was a severe case and I would be feeling better. Shortly after, I felt changes taking place after every treatment. I have been pain free for 6 months, no pain, no numbness and no anxiety at all. Dr. Prieto, his staff and spinal decompression have restored my life. Thank you Dr. Prieto and staff." 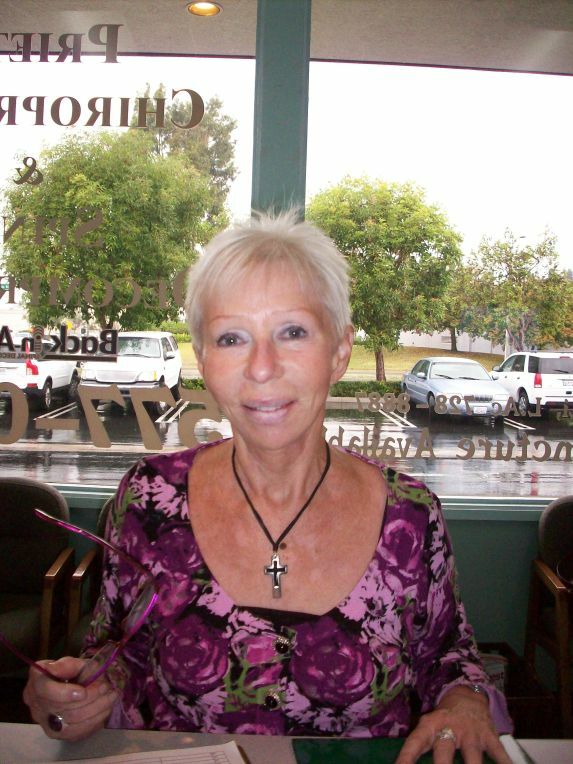 "When I came to Dr. Prieto, I was having severe pain in my neck and shoulder area. I had constant pain in my left elbow, to the point that I could not even have my arm be straight. I also had numbness and tingling going down my arm, hand and fingers. The numbness was so bad I had lost most of my strength; I couldn't even open a water bottle. The pain was keeping my up all night. am I glad it did. I feel great and the numbness and tingling is gone. Thank you Dr. Prieto!!!!!" MRI: 2 mm broad-based bulge at L2-3, broad-based bulge at L3-4 asymmetric to the right resulting in mild to moderate neural foraminal narrowing. 4-5 mm left-sided broad-based bulge resulting in mild to moderate left neural foraminal narrowing at L5-S1. "Why did I wait so long? Before coming to Dr. Prieto, I lived with lower back pain, pinching in my left hip and soreness almost daily. I woke up to stiffness every morning and getting out of bed was a chore. After consulting with Dr. Prieto about my symptoms, he took x-rays and then ordered a MRI. I was diagnosed with disc bulges at L2-3, L3-4 and L5-S1. What I like is that he explained what I was looking at, and my treatment options. Dr. Prieto felt I was a good candidate and recommended I try the DRX 9000 Spinal Decompression, along with Chiropractic care. THIS IS THE BEST ADVICE I'VE EVER RECEIVED! After a few Spinal Decompression treatments, I felt significant improvement! The treatments are painless; the results were so good that I looked forward to my next visit. Now, months after the treatments, the lower back pain, the pinching and especially the morning stiffness are gone. I truly appreciate Dr. Prieto's continued care through the stretching and strengthening exercises he has provided to help me maintain my now healthy back. I highly recommend Dr. Prieto and his very friendly and professional staff. 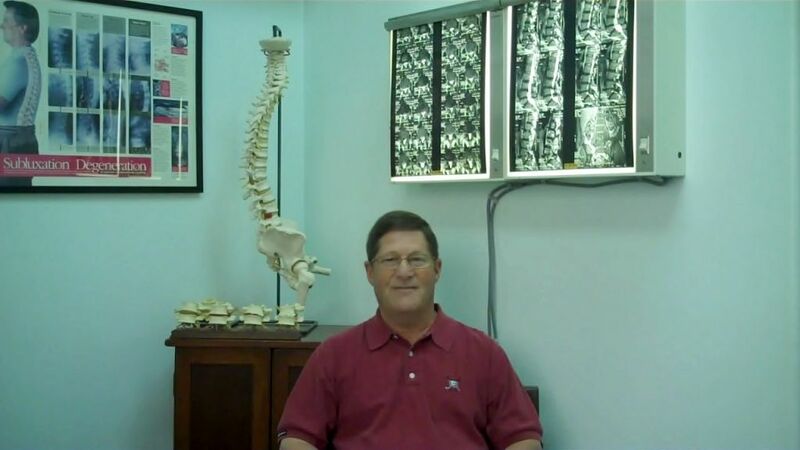 What a difference the DRX 9000 Spinal Decompression and his Chiropractic care has made for me." My family Chiropractor did not do spinal decompression, but said he knew a Chiropractor that did do it and who had an excellent reputation including a celebrity cliental, but was very reasonable in price. Dr. Prieto treated me from September of 2008 to January of 2009, starting with 4 times a week, down to once a week. The pain began to diminish after the first month and by the fifth month, it was completely gone. It is now August and I see Dr. Prieto once every 6 weeks for a maintenance treatment. I keep my weight down and I do the exercises he gave me. The DRX 9000 is totally painless and I often go to sleep lying down with soft music and dim light. Thank you Dr. Prieto and staff for a good experience and ending a 30 year nightmare!" MRI: At L4-5 a diffuse asymmetric bulge involving the right neural and extraforaminal regions measuring up to 6 mm. At L3-4 a diffuse asymmetric bulge involving the right articular recess and right neural foramen measuring up to 4-5 mm. At L2-3 a diffuse asymmetric bulge involving the right neural and extraforaminal regions measuring up to 3-4 mm. The L5-S1 disc space demonstrates a diffuse bulge measuring up to 3 mm. The L1-2 disc space demonstrates a diffuse bulge measuring up to 3 mm. Multi-level degenerative disc disease. "I had the very good fortune of being referred to Dr. Brian Prieto of Yorba Linda by friends and my now retired orthopedic medical doctor. Epidurals, medication, and physical therapy were simply not improving my spinal condition and sleeping, walking, and normal everyday moving around were very difficult. I had wrenched my back in a fall which exacerbated my osteo-arthritis condition, and I had not slept in a bed for three months at that point. When I first saw Dr. Prieto, he was not sure that he could do much for me as I was unable to lie on the DRX 9000 treatment table. After several attempts over a period of several weeks, I was able to tolerate the 25 minute treatments and slowly but surely the back pain and sciatica diminished. After many treatments over a six month period, I am totally free of pain and restriction. I'm sure that an MRI today would show a marked reduction in the inflammation of one or two discs. My view of Chiropractic today is quite different from the past, and I'm grateful to the medical doctors who saw a need for and developed the spinal decompression treatment." MRI: Generalized, multilevel degenerative disc disease which is moderate to advance throughout the cervical spine and upper thoracic spine. 1.5-2 mm endplate osteophytes which are broad based causing mild thecal sac compression at C3-4, C5-6 and C6-7. Posterior ligamentous redundancy and degenerative changes causing a nominal anterolisthesis approaching 2 mm at C4-5 and C7-T1. Right facet arthropathy at C7-T1, T1-2 and T2-3 levels. Posterior disc protrusions of up to 3 mm at T1-2, T2-3 and T3-4. "Due to a number of accidents, I experienced pain in my upper back, neck and shoulders during the last 30 years. The pain increased in the summer of 2008 when I was on vacation and did a lot of driving. By the spring of 2009, I had sharp pain when I lifted my right elbow head high. My hands and arms would tingle when I went to bed. Since as a math professor I write on the board in class, I felt this problem needed to be addressed. I had an MRI taken. As a result of the analysis of the MRI, it was determined that cervical decompression might help. Dr. Prieto felt he could provide substantial relief from the aches and pains. After a couple of weeks of treatment, the numbness left my hands and arms and I could once again raise my arms over my head. Now I can do this with absolutely no pain after being treated off and on over a 3 ½ month period. I now feel much improved. I do not have to keep adjusting my head on the pillow to go to sleep and I sleep better at night. I feel 60% back to normal. I am very thankful that Dr. Prieto and his staff were very positive and patiently worked with me (a 71 year old teacher who still rides a bicycle to work). It turned out to be a slow process, but I am much better and thank Dr. Prieto for his willingness to help me at this stage of my life." MRI: Mild multilevel degenerative changes, most notably at L4-5, where there is a 3 mm extruded disc fragment. Alex completed his treatment over 3 years ago and recently updated us on how well he is doing. "I wanted to tell you that the treatment literally changed my life! I was in daily pain with a raised, inflamed area on my left side. I had to give up my beloved football (soccer)! Now, I am playing again and am about to run my second half-marathon. I haven't had a single day of pain; anything like it was EVERY day before the treatment. Please feel free to use this as a testimonial so that others can see that this treatment ABSOLUTLEY does work."